Summer is a great time of year, full of all kinds of fun activities like cookouts, concerts, and family gatherings. Kids are out of school and the weather is warm enough to enjoy spending more time outdoors at the beach or even just in the backyard. There’s no reason why seniors can’t enjoy summertime activities as well. Socializing has positive physical and mental benefits for seniors, regardless of whether they’re done indoors or out. Here are a few fun indoor and outdoor summer activities for seniors that your loved one can do on their own or with friends and family members. Warmer weather means more people feel comfortable about getting out, so encourage them to get out and take advantage of some of these summer activities for seniors. They’ll help keep everyone cool and comfortable while they have a good time. Mall walking. Many shopping malls open their doors early to allow walkers to exercise before the stores open and crowds pour in. Some even have organized walking groups that socialize before and after walking hours. This is a good way to get cardiovascular exercise without temperature extremes, weather, and bugs. It’s convenient for running a few errands after exercise sessions too. Water Aerobics. These classes allow seniors to exercise in a large pool of water, which feels good during heat waves. The classes provide socialization as well as a safe way to achieve a wide variety of physical benefits; it’s impossible to fall in a pool, unlike on a track or weight room. Water aerobics classes increase muscle strength, lower blood pressure, and relieve symptoms of arthritis. Senior Center Activities. Senior Centers host many activities that offer fun and companionship for adults. Events range from trivia and card nights to classes on arts and crafts or other adult education topics and even dancing and karaoke nights. On days when the weather is especially hot, these centers provide escapes from steamy homes. Family Fun. Now that the kids are out of school, consider spending some time together. It doesn’t have to be anything as organized as a week at the beach. Organize a few cookouts using family recipes, take everyone to the movies, or have a massive card game. Look at old photo albums and let your parents show your kids “those” photos. Be A Tourist In Your Town. Ever been to the museums or art galleries in your town? Most places have some sort of historical building or gallery nearby, and these are usually air conditioned. Even better, many offer senior discounts! You can spend an afternoon keeping cool while learning something you didn’t know about your town. Walking. Walking is an excellent, low impact way to get exercise and it’s a great way to spend time enjoying nature and noticing details you miss when you drive by in the car. It’s important to avoid getting overheated, so be sure your loved one drinks plenty of water and walks at the coolest parts of the day, which is usually either before 10 a.m. or after 5 p.m.
Birdwatching. This can go hand-in-hand with walking and is a great excuse for getting anyone outside. It’s easy and inexpensive to start and encourages seniors to learn new things as they identify the birds they see daily. Studies have shown that learning new skills is vital towards warding off mental decline. Set up a bird feeder outside a window or on the deck to encourage visitors and buy a guidebook that will help identify them. Attending Activities. One of the best things about summer is the wealth of events that keep anyone from getting bored. Check your local newspaper and the internet for events that your senior will enjoy, such as lectures, concerts, workshops, flea markets, street fairs, movie nights, and much more. Many of these events have little to no cost, so it’s possible to go out frequently for very little money. Fishing. This low-impact activity is perfect for summer. It can be a solitary event, just someone spending a day by the river with a pole and a tackle box, or it can be a social event, with a group of people on a boat and someone teaching the youngest how to bait a hook. Be sure there’s plenty of shade no matter where your “secret place” is, and drink plenty of water. Even if the fish aren’t biting, they still say “a bad day of fishing beats a good day of working” for a reason. Gardening. Tending to a garden can be a relaxing hobby for a senior. Be sure the plants suit the gardener; someone with almost no experience will have a difficult time with orchids at first. Vegetables grow quickly and provide delicious benefits; they can easily be grown in a pot on a deck or porch. Raised beds help seniors who can’t bend over continue to enjoy the fun of gardening; some beds are raised high enough to accommodate wheelchairs. Regardless of what kind of summer activities your senior enjoys, be sure they follow basic summer safety protocols. Drink water frequently during the day. Wear sunscreen and reapply when out in the sun. Avoid situations where overheating is possible & know the signs of heat exhaustion/heatstroke. Eat small, light meals, even if they don’t feel hungry. 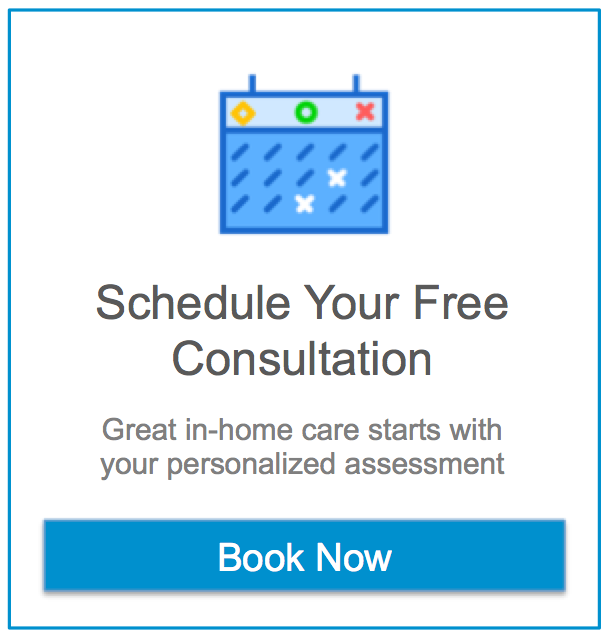 If you need high quality senior care for your loved one in Arlington Heights, Mount Prospect, Des Plaines, Prospect Heights, or Wheeling, IL, you can count on the caring, experienced caregivers at Assisting Hands Home Care. We provide a wide range of home care assistance that allow clients to age in place with dignity. Whether you need elderly care, transportation assistance, housekeeping, or other assistance, you can trust our screened, licensed, and bonded caregivers.